Hello Friends! I hope your Thankgiving Weekend was fantastic and you were able to spend time with friends and family. We had a nice quiet weekend just the four of us with my daughter home from college. It was great having her home... even if she had to do homework the entire time. Thankfully during Christmas break she will have three weeks off with no homework! Hi Friends... I'm back again today with another adorable image using the Crafter's Companion Moonbeam Meadow Collection. This time I used the set called Christmas Kisses... I love it! Happy Tuesday! I worked on this card yesterday and really wanted to get it posted, but the day just got away from me & before I knew it, it was over. So here's a sweet card using the Crafter's Companion Moonbeam Meadow Collection - Rudolph & Friends. These images are some of the sweetest out there and I actually remembered how to color... it's been a few weeks! Hi Peeps! Woohooo ~ it's Friday! Just wanted to post a sweet little Christmas card I made using fun products from Crafter's Companion. The Die'sire Edge'ables Christmas Words die makes this card really POP and the adorable polar bears are from the Moonbeam Meadow collection - Magical Star. 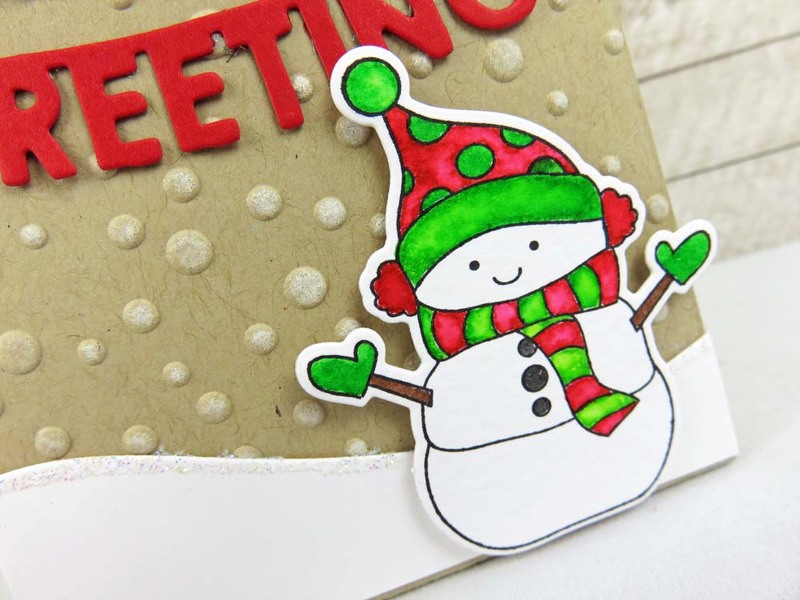 It's time for a little more Christmas fun with the Die'sire Create-A-Card Christmas dies from Crafter's Companion. 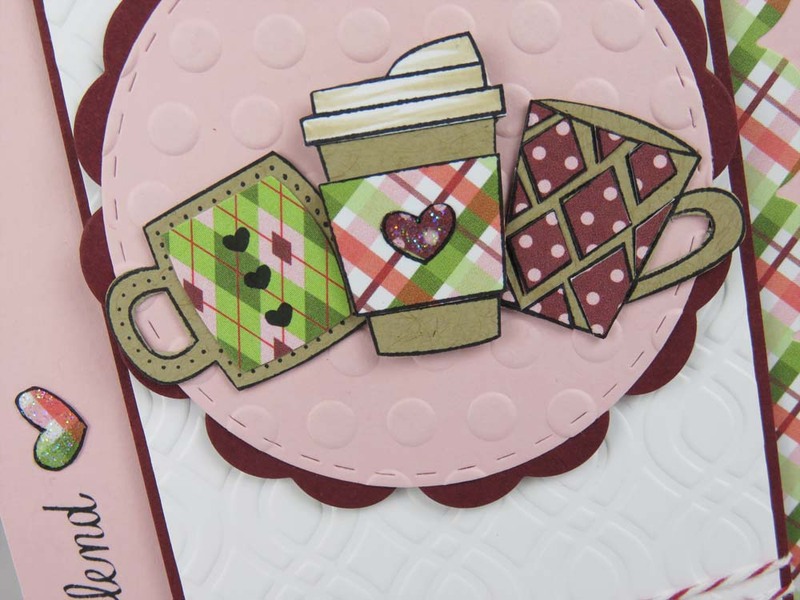 This die is called Christmas Eve & it's not only a die, but it is also an embossing plate and a stencil all in one! I simply cut the die out with my Cut'N'Boss, then kept the paper in and embossed it through the machine again, and then used Memento Ink (Paris Dusk) and a sponge to make the images pop off the paper. Repeated that 3 times for each side of the tri-fold card. Easy Peasy! Hi Friends! Today I wanted to share a quick tutorial using just three Spectrum Aqua markers and a few simple steps. For my card, I used the Gina K Designs November Stamp TV Kit called Sparkling Christmas. Step 1: Using the Chocolate Spectrum Aqua Marker, add color directly to the tree trunks on the image. Step 2: Add Olive Spectrum Aqua Marker to cover all three trees. Step 3: Add Moss Spectrum Aqua Marker to the edges of each tree. Step 4: Spritz watercolor paper with water and then stamp the image. Step 5: Using a water brush, blend the colors on each tree. Here are my finished trees. See how easy peasy that is? You can do it... seriously ~ Just give it a try! Hi There Crafty Friends! Today I'm sharing a card for Taylored Expressions using the Paper Piecing Technique. 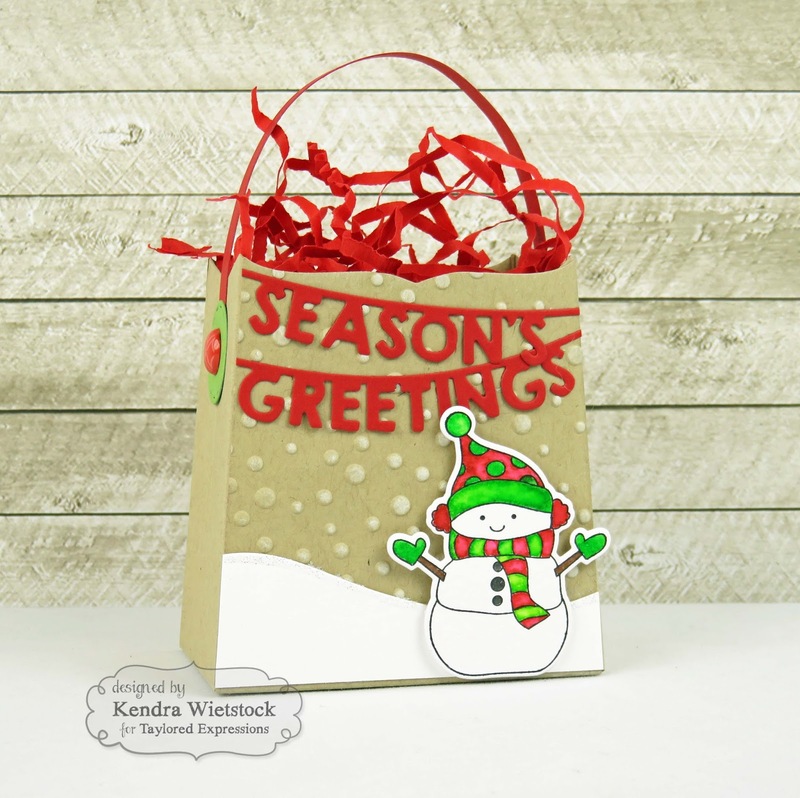 This month, the Taylored Expressions designers are having fun with Gift Packaging ideas! What a perfect theme as we prepare for the Christmas season! On the reverse side, I added a sentiment from the Special Delivery Stamp set and trimmed it with the Stitched Circle dies and Little Bits Holly die. The Birthday Week fun continues at Crafter's Companion today and I have another pretty card to share using Sara Davies Signature Collection Festive Wonder! This release is now available and it is gorgeous! Sara will be on HSN today at 11am with a fun new product called Spectrum Noir Sparkle. Check them out!